Practical Insights paper | Sustainable Supply Chain | How Can Packaging Companies Respond to Global Bans on Single-Use Plastics? how can packaging companies respond to global bans on single-use plastics? 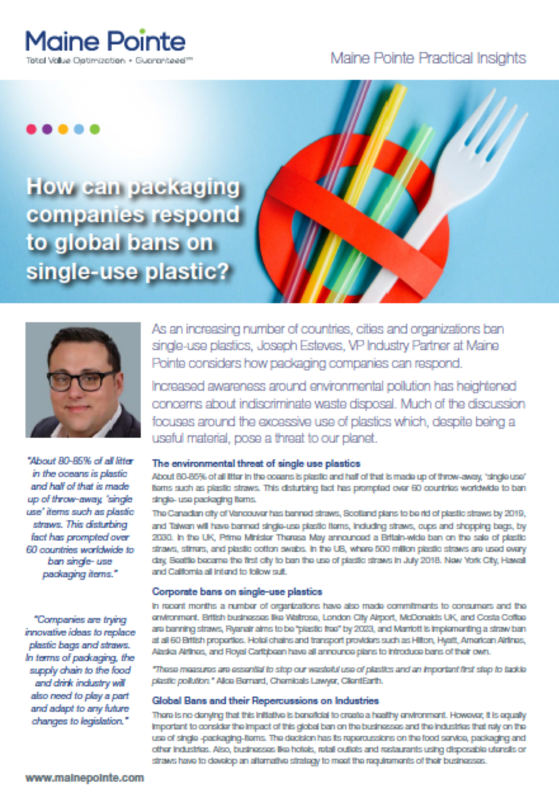 As an increasing number of countries, cities and organizations ban single-use plastics, Joseph Esteves, VP Industry Partner at Maine Pointe considers how packaging companies can respond.